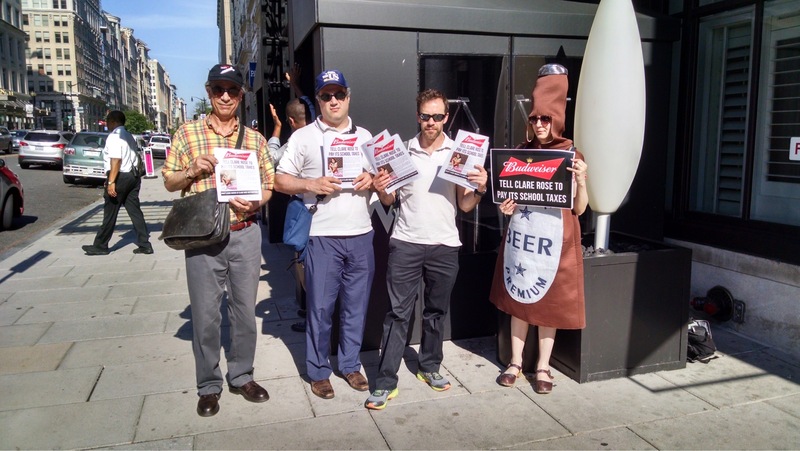 Last night, the Teamsters Union protested Anheuser-Busch distributor Clare Rose, Inc. at POLITICO’s “An Audit on Tax Reform” event at the W Hotel in Washington, DC. The event was sponsored by Anheuser-Busch [NYSE: BUD]. In Long Island, Anheuser-Busch uses Clare Rose Distributing to distribute its Budweiser line of beers. 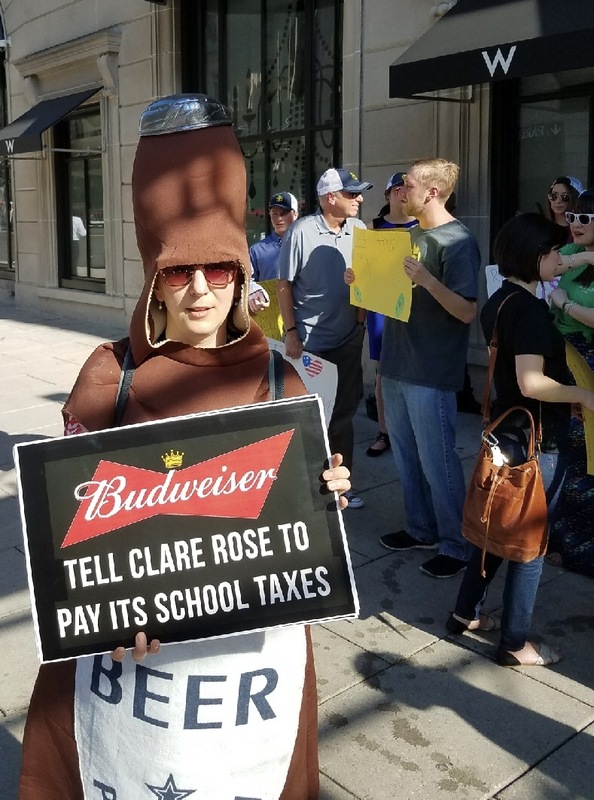 Clare Rose took more than $370,000 out of Long Island schools in 2016 alone, as part of a long-term tax break that began in 2009. Clare Rose’s employees are represented by Teamsters Local Union 812 in Great Neck, New York. 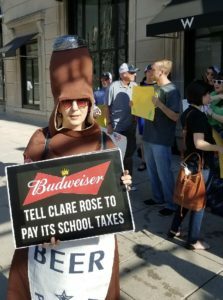 More and more Long Island stores and bars have run out of Clare Rose products as the strike gains momentum. Clare Rose is the sole distributor of Budweiser, Bud Lite, Heineken, Pabst, Blue Point, Greenport, and several other craft beers for Long Island. It is headquartered in East Yaphank with an additional facility in Melville. The union negotiated with Clare Rose for months without progress before the highly-profitable company imposed huge wage and benefits cuts. The union said the strike against the company’s illegal actions will last until Clare Rose ceases its illegal conduct by restoring wage and benefit cuts and bargaining in good faith.